Hey all! Hope you are having an amazing week! I’ve been crazy busy as I’ve taken a little job outside of the home so that I would get away from this ol computer…too much sitting! I don’t know if you’ve ever perused the purse section at a thrift store, but there are so MANY! There are so many almost new and brand new little purses that you would be absolutely amazed what you can find. 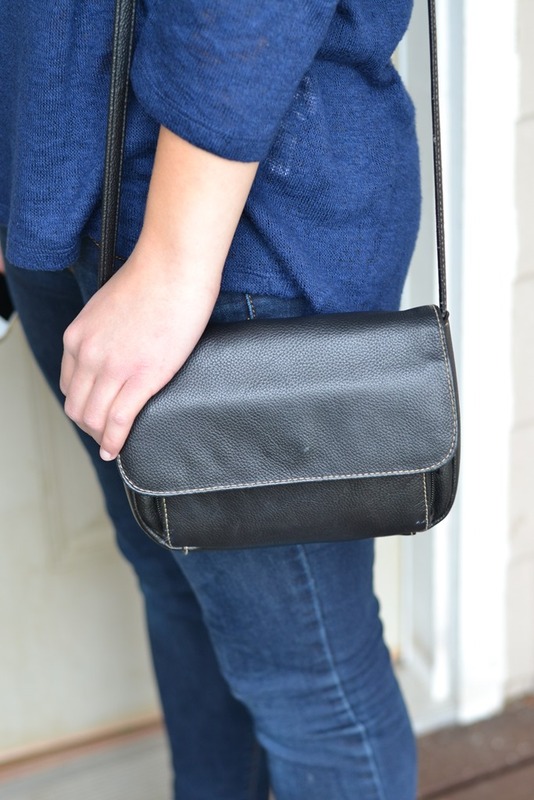 It is sooo fun to pick out a fun little purse and pack it with fun stuff that little and teen girls LOVE! Boom you’ve got a $10 gift. I didn’t make it to the Thrift Store this week due to crazy busyness, but right before school last month my daughter found this super cute purse at the Thrift Store. The long shoulder straps are IN and some of the brand new ones in the stores are upwards fifty buckeroos…at least the ones my girls like. This weekend I’ll be making a stop a the Thrift Store, so if I find a super cute little girls purse, I’ll buy it and post a pic. YJust a little tip for when you are looking for a purse: make sure it is very clean, not smelly and there are no medications or weird stuff in any of the nooks and crannies. YUK! Go to your local Dollar Store and you’ll find a million things to put in the purse. This is a super fun gift that I have given for YEARS and it is always well received. That’s it you craft haters and busy people! « Survey and $10 Starbucks Gift Card Giveaway! Off topic, but I just received your cookbook, and am very impressed. You did a fantstic job on informing us as to your purpose and vision for a mother and family, and provided so many insipirational helps, as well as a great foundation for better and more economical mealtimes.